The consultation on the future management of the Public Forest Estate has been halted and all forestry clauses in the Public Bodies Bill will be removed. The consultation on the future management of the Public Forest Estate has been halted and all forestry clauses in the Public Bodies Bill will be removed, Environment Secretary Caroline Spelman confirmed today. Mrs Spelman also announced that an independent panel of experts will examine forestry policy in England and report back to her in the autumn. “I would first like to say that I take full responsibility for the situation that brings me before the House today. “Let me make it clear that we have always placed the highest priority on preserving access and protecting our forests. But the forestry clauses in the Public Bodies Bill, published well before we launched the consultation, gave the wrong impression as to the Government’s intentions. “That is why I am today announcing three steps which will allow for more measured and rational debate about the future direction of forestry policy. “First, I have taken a decision to end the consultation on the future of the Public Forest Estate and I take full responsibility for that. I am doing so because it is quite clear from the early responses to the consultation that the public and many MPs are not happy with the proposals we set out. “Second, the Government will support the removal of the forestry clauses from the Public Bodies Bill, currently at committee stage in the House of Lords. “And thirdly I would like to announce that I am establishing an independent Panel to consider forestry policy in England. It will report to me with its findings this autumn. The Panel will advise me on the future direction of forestry and woodland policy in England, on the role of the Forestry Commission, and on the role of the Public Forest Estate. The Panel will include representatives of key environmental and access organisations alongside representatives of the forestry industry. I will shortly publish its membership and terms of reference. “If there is one clear message from this experience, it is that people cherish their forests and woodlands and the benefits they bring. My first priority throughout this period of debate has been securing a sustainable future for our woodlands and forests. On many occasions in the House last autumn, Ministers gave assurances that our aim in all of this has been to do more to maintain and enhance the public benefits delivered by forestry - from recreational access to wildlife protection; from tackling climate change to sustaining a wide range of small businesses. That is why my ambition to provide a better future for our forests is undiminished. “We have already heard positive suggestions about how we can do this - for heritage forests and all other woodlands. We have spoken to the RSPB, the National Trust, the Woodland Trust, the Wildlife Trusts, the Ramblers and other groups. The Forestry Commission has itself acknowledged that change is needed and will of course be fully engaged in this process going forward, as I know they have many ideas to contribute. “We have also been listening to MPs on all sides of the House many of whom have set up their own initiatives with local groups. We want to support them in this. 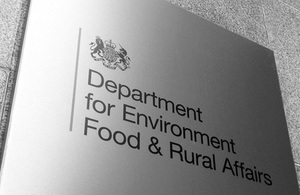 The membership of the independent panel to look into forestry policy in England will be announced soon. The Review will report to the Secretary of State in the autumn of 2011.